When more than 350 chefs, foodservice directors and industry folk gather for a culinary conference, creative ideas naturally bubble up. 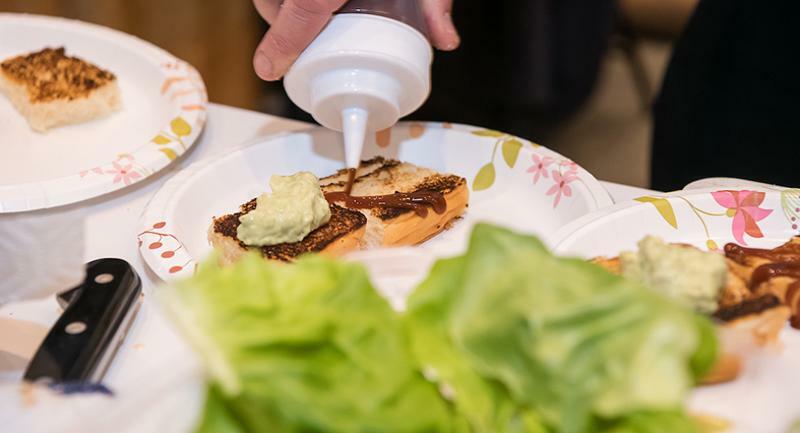 FoodService Director's MenuDirections conference, held at the beginning of March in New Orleans, proved to be a hotbed for fresh menu inspiration. The presentations, chef demos and food and drink tastings provided a wealth of takeaways to savor and share. These five were among the standouts. As plant-based eating continues to trend, operators are exploring modern ways to use ancient grains. Sorghum is a versatile grain that can be boiled, steamed, cooked in soups and stir-fries and subbed in preparations for quinoa, rice and bulgur. But sorghum has another attribute—it can be popped like popcorn. 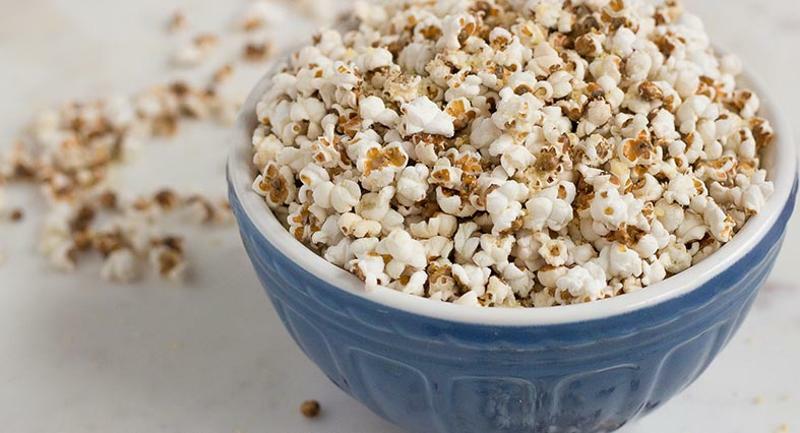 Robert Landolphi, chef at University of Connecticut, makes sorghum popcorn and tosses it with spices or grated cheese for a healthy grab-and-go snack for students. 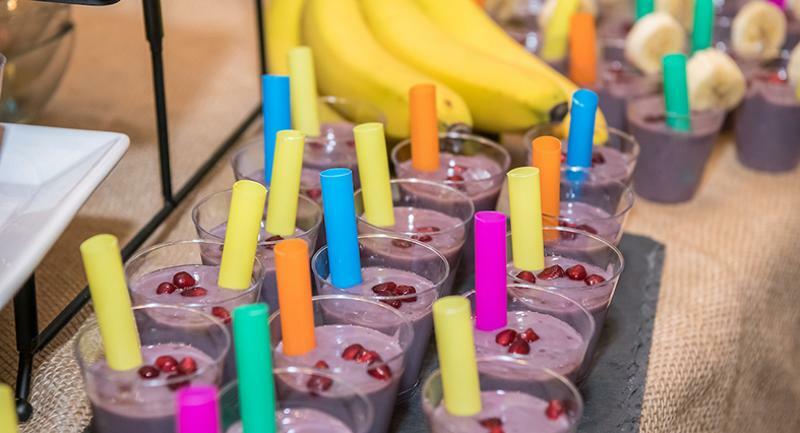 Speaking of snacks, drinkable soups emerged as a snack idea during a workshop on global flavors. With more consumers swapping meals for snacks, there are more opportunities to satisfy cravings in midmorning or midafternoon. Drinkable soups make for a nutritious, portable pick-me-up. 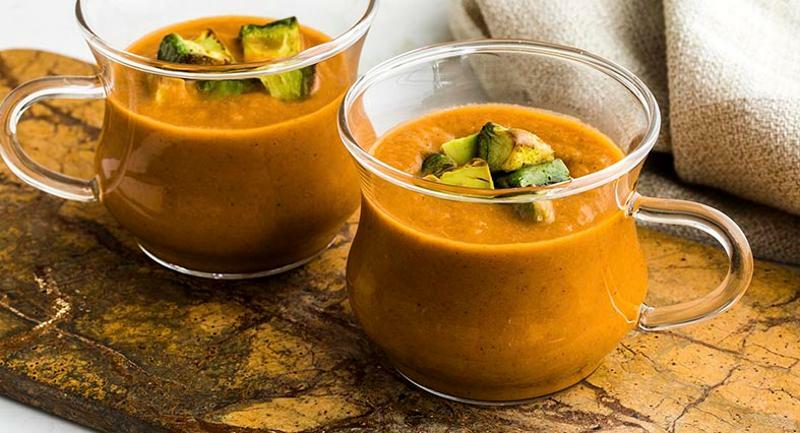 Easy-to-sip preparations such as roasted vegetable bisque, avocado-cucumber puree or mushroom broth can be served in a to-go cup much like a smoothie or coffee drink. Catering large events often calls for passed appetizers and finger foods. Salads sometimes get left off the menu because they are not adaptable to passing. Enter individual disposable salad boxes, accompanied by their own sporks. That's how the catering team that put together Taste of New Orleans at the Southern Food & Beverage Museum served and passed salads for the crowd. Avocados oxidize quickly, causing guacamole to turn brown if prepped ahead. An easy fix: Spoon a thin layer of milk, sour cream or even water over the guac. It won't sink in because the avocado mixture is denser than the topping. Once ready to serve, simply pour off the liquid. Any that remains on top can be stirred into the guacamole without altering the taste. Consumers are seeking naturally functional beverages with a health halo. Watermelon juice, kombucha, horchata and coconut water are gaining fans for their antioxidant or probiotic attributes. Purple is the latest power color. Plants with a purple hue contain valuable phytochemicals and are being recognized for their possible health benefits. One to watch: purple tea. It's made with purple tea leaves and can be served hot or iced. A new bill would expand its School Lunch Protection Program. Since making its debut in October 2018, Draft & Table has already updated its menu—and become a hot spot on campus. As part of a contract with the Department of Aging and Veterans Services, the California district will make over 4,000 meals for those aged 60 and up.